We have a keen interest and involvement with Medical and Dental Education at both Undergraduate and Postgraduate levels. There are lots of opportunities to pursue professional interests and career development! We co-ordinate, deliver and quality assure the clinical component of the Lancaster Medical School MBChB degree programme. 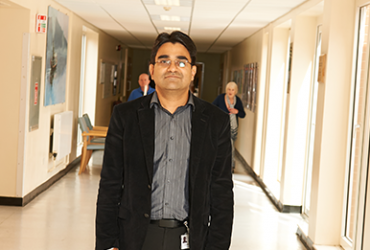 Alongside our core administrative team we have a dedicated clinical team led by the Director of Undergraduate Medical Education, comprising Undergraduate Lead Clinicians, Teaching Fellows, Clinical Skills staff, Nurses, Midwifes and Pharmacists all providing divisional and targeted support throughout the Trust on all areas of the curriculum. Together we strive to ensure quality education and training for our medical students. 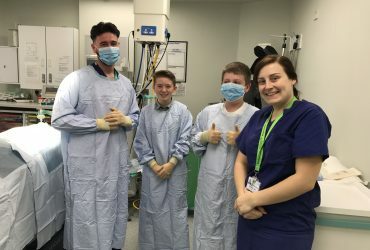 By working closely with our clinical teams, we are able to identify the best learning opportunities and experiences for our students so that we can meet the requirements of the curriculum, whilst also meeting the Trust’s high standards of patient care. The General Medical Council (GMC) influences and shapes Postgraduate training through the North Western Deanery who works with local NHS Trusts to deliver their individual training programmes. All Junior Doctors have a named Clinical and Educational Supervisor whose role it is to ensure their Trainee develops against good standards expected for their level of training, which are dependent on local and GMC requirements. We host Postgraduate Dental Students from the University of Central Lancashire who are undertaking the MSc Oral Surgery Course. 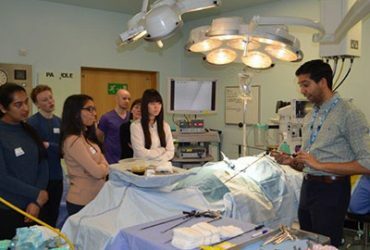 Each student attends four oral surgery sessions at the Royal Lancaster Infirmary in order to develop surgical skills for Dental Practice.